Amanda Carson, Veterinary Lead for the Small Ruminant Expert Group, talks about how she is engaging with farmers to investigate sheep diseases. Last week I got the call from a hill shepherd: “We’ve got the sheep in, can you come tomorrow”. The sheep in question were from seven different flocks all grazing on the same area of common land; in this case an iconic Lake District valley and surrounding mountains. I’d asked the farmers if they would be willing to help me determine if sheep scab was present among their flocks. There were no concerns about sheep scab in these flocks, no clinical signs of disease and at this time of year before tupping (tupping is putting the rams out with the ewes for mating), these sheep are routinely dipped or injected as part of normal management practices to ensure they don’t have sheep scab. 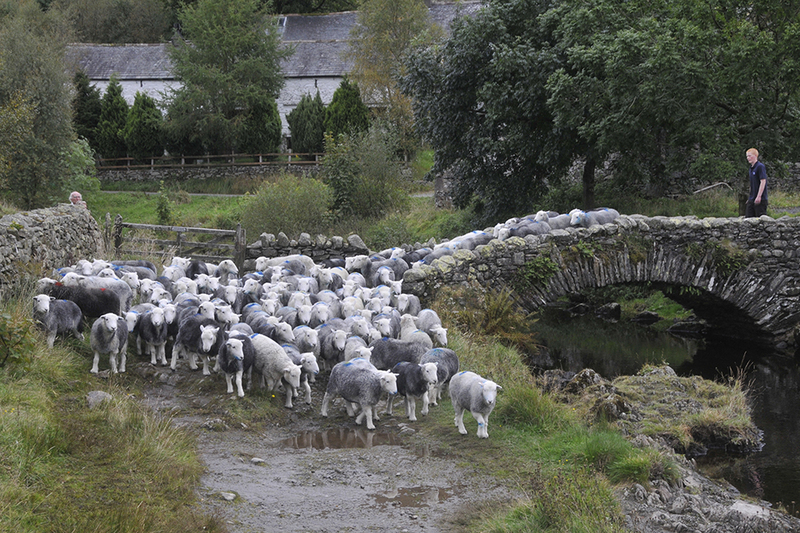 So if these are conscientious farmers and the sheep have no signs of scab – why bother? I am the APHA lead on Scanning Surveillance for sheep and samples submitted to our Veterinary Investigation Centres (VICs) gave us concerns that some sheep were not responding to treatments for sheep scab. Our investigations and collaborations with the University of Bristol subsequently identified that resistance had developed to one of the common treatments used to control sheep scab. This led to the publication of a paper in the Veterinary Record. Sheep scab is a wretched disease for sheep, causing skin reactions due to parasitic mite infestations, and for farmers, the time and cost of controlling outbreaks when they occur is frustrating. But why do we seem to be unable to control sheep scab? Is it always due to resistance or something else? How widespread is this resistance? Why is resistance developing? What can be done? The early detection of new or re-emerging threats in animals which allows timely mitigation of impact on public health, animal welfare, livestock productivity and wider society. It involves the systematic collection, analysis and interpretation of intelligence and data and the dissemination of this information to those who need to know in order to take action. So, the shepherds agreed to help me undertake a small survey of sheep grazing common land. Using a new test, it is possible to detect antibodies in sheep that have been exposed to sheep scab mites before they develop clinical signs. Blood sampling allows us to collect evidence. We then analyse the results and, coupled with a questionnaire to gather epidemiological information, interpret the findings. We hope that this will improve our understanding of the disease and allow us to develop strategies which will be disseminated to government and industry. The results are pending; but the most important thing about surveillance is engagement – with government, vets, farmers and industry – all working together to find solutions to make our sheep industry the best in the world. You can find out more about current disease trends in small ruminants by reading the most recent small ruminant disease surveillance and emerging threat quarterly report. Reports are also available for cattle, pigs, poultry, miscellaneous and exotic species and wildlife on GOV.UK. There is also a dedicated webpage for small ruminant scanning surveillance. A blog about science at the Animal and Plant Health Agency (APHA).